Greetings!! 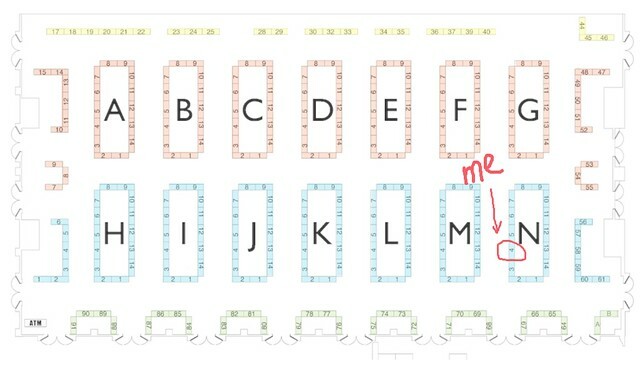 I'm so very excited to be tabling at SPX again this year, I've made you all a little map as to where you can find me! I'll be at table N4 next to some VERY good buddies including One Percent Press, Alec Longstreth, Dakota and Jonah McFadzean, and Luke and Abigail Howard! Stop by, check out some books, and peep your eyes on our FULL COLOR Volume 6 for Half Asleep. We are officially 3/4ths of the way done! !